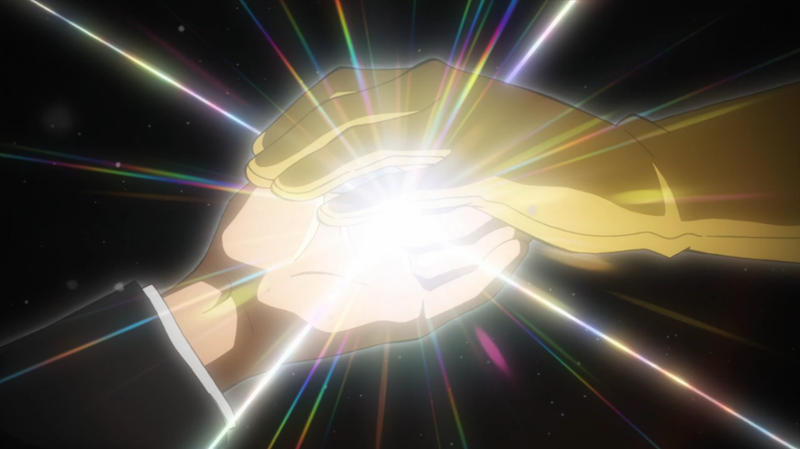 Episode 49 of My Hero Academia was one of the more emotionally affecting episodes of anime that I’d watched last year and I definitely didn’t want to let it go by without commemorating in one way or another. This episode would, of course, be the finale of the fight between All Might and All-For-One. Our journey with Toshinori Yagi through the eyes of young Midoriya has been one of constant concern. We learn about his weakness from episode one and time and time again, we were reminded of his continuing and inevitable deterioration. We were privy to a sight that only a select few had ever known – the mortality of the invincible symbol of peace. Outside of his most trusted friends and colleagues, the majority being adults, and then, of course, his bright successor, he was no less the hero that he once was. And perhaps for that reason alone, the shots of the stunned expressions of Tsuyu, Ochako, Fumikage, and the rest of the kids of class one, cut so deeply. All Might was, in every definition of the word, a guardian for these kids. He was a pillar of support and aegis of protection; the hero that they had all looked up to and will always look up to. The disparity in their expectations and the realization that the person who had taken care of them for so long could perhaps, no longer, underlined the emotions that permeated the scene. To All Might, failing here meant losing everything including all the possibilities that he fought so hard to give to the next generation. And so he persisted. He fought harder. He burned brighter. And then, like a candle, he burnt out – but not without ensuring that there would be a path forward for his children. The times are changing for the kids of UA, with this being the biggest point of change in their worlds, both narratively and as young adults. Now is the moment that they’ll need to pick up the mantle, to become adults, and to become heroes – with all the pressure, fear, and doubt that comes with the title. Having experienced something similar in recent years, I’m no stranger to the terror that comes with needing to move faster than you might be capable of. But fortunately for myself and the kids of UA, we were and never will be alone in this endeavor. This is the tenth of twelve posts that I’ll be publishing as part of the 12 days of Anime event. Be sure to check out all other amazing writers that are participating in this year’s event here.